I'm sorry I have completely fallen off the blog wagon. :( Eventually I hope to start posting more. Callie is 6 years old now and doing very well! She is in gen ed kindergarten (!) with support and is holding her own. It is starting to become more challenging for her to keep up as the curriculum picks up during the second half of the year, but she is doing her best. We are already starting to work on a plan to get her set up with the appropriate supports to make sure she is successful in first grade. It's challenging because she falls into a crack in the school system... She is beyond what the special ed classrooms offer, but gen ed is difficult. Callie's main challenge continues to be severe Childhood Apraxia of Speech. She still has very little speech... maybe 30 words/approximations. She uses expressions, gestures, signs, and her iPad "talker" to help get her point across. She is a unique case in the fact that she understands absolutely everything, but has such minimal expressive language. It's amazing she does not have behavioral issues since there is so much trapped inside her pretty little head. I can only imagine how much she has to say. :( Callie continues to go to private speech therapy multiple times per week and we are currently using her sessions to focus on better use of her talker. We haven't given up on speech, but realize independently initiating use of her talker is critical for school. At this point in time, most of her other challenges are either resolved or not causing any issues. Her seizures have been successfully controlled with Keppra for the last year and a half. Her EoE seems to have resolved, although we still have to have one final endoscopy to confirm. She still wears ankle braces, but they have been reduced from AFOs (tall braces up the back of her calf) to SMOs (low braces just to her ankles). She still has her G-tube, but is successfully eating orally. Overall she is doing great! We are still here! Callie is doing amazing and there is so much to share. We have had quite a winter here in Northern Virginia! By the standards of my friends farther north, it has been nothing, but VA is not very good at dealing with cold weather and snow removal. 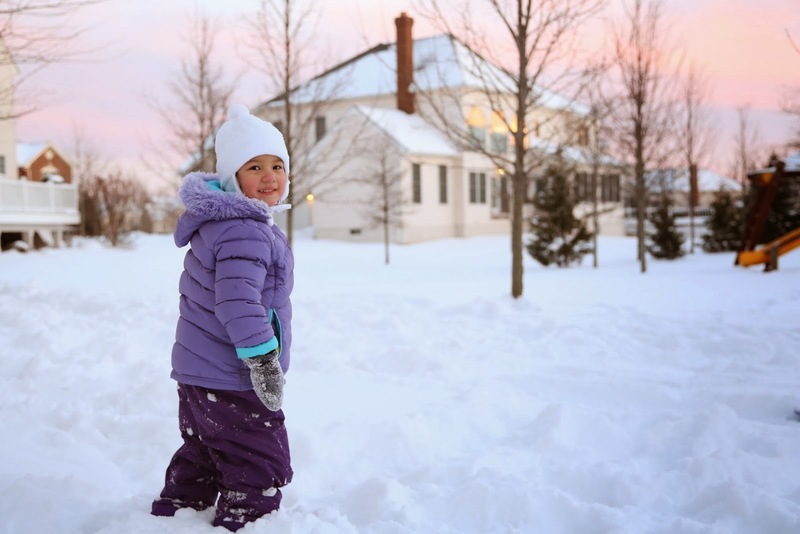 We live in the more densely populated eastern part of our county and often get snow days due to the conditions of the roads in the more rural western region. The other day was our 13th snow day!! Callie did great in the snow this year! I really thought she would have a hard time moving around and spend most of the time falling, but she was able to walk across the yard this week in about 8" inches! It was wonderful to see the kids having a good time together. There is so much more to share and I hope to find time to sit down and write more soon! Where to begin…. Well, Callie is now 4 years old!! She is growing up into this amazing little girl. Sometimes I just stare at her in disbelief. I am in awe over all that she is. Stats: Weight 30.2 lbs (10%), Height 38.25 inches (10%), BMI 25% -- We have kind of stalled out when it comes to weight. She has unfortunately not gained any weight in the last 6 months. But this does not surprise me because there have been big changes this year with her feeding. She started out the year getting most of her nutrition from tube fed formula at night and high calorie blended food during the day. Gradually we transitioned until her night feedings were eliminated around May. She was then eating orally and getting her blended tube food. Around that time she was getting quite plump (for the first time in her life!). This is when she weighed in at 30 pounds. In the following months her oral motor skills required for eating improved dramatically until we were able to phase out almost all of her blended food. She now eats just about everything orally. But as we phased out the feeds, her calories decreased and she leaned out. I do not feel too alarmed about her not gaining weight because I feel like her weight was artificially high last spring due to her tube feedings. I believe she is currently at a healthy place and her growth is similar to where Owen was at 4 years old. Their body types are the same and I think Callie is where she naturally should be. Unfortunately, Callie’s pediatrician is slightly concerned and wants me to start taking her to a nutritionist again to confirm she is getting the calories she needs. I have mixed feelings about this. On one hand, I am happy to take her to any specialist and typically follow our ped’s wishes, but on the other hand, I feel like this is somewhat of a waste of time. She is eating well. She still can’t chew difficult foods, but overall she can eat most things (with care… pieces are cut small, soft foods are selected, and we monitor her closely to make sure she is not at risk for choking). I just don’t think she is capable of growing into a big girl (Owen is not big either). So we will see… I will make the appointment, but don’t plan to go to anyone regularly as long as Callie continues to eat well. I may just start supplementing with whole milk and blended food through her tube more often if she continues to stall out at 30 pounds. We also continue to administer meds and give water through her tube. Gross motor skills: Callie continues to slowly make progress in this area. She has enough motor skills to be functionally independent, but her gait continues to be off with her toes coming down first and then extension in her knees. She wears AFOs all day to continue to help correct these issues. She also cannot run and is barely able to jump despite taking it upon herself to practice nearly every day. She continues to LOVE trying to jump. She has mastered the trampoline and now gets about an inch of air off the ground. She is one determined little girl and will get this before long! She is also still working on learning to safely walk down stairs independently. She knows how to walk down, but can fall easily. She has made progress with her stability and now more easily walks across grass, mulch, and other uneven surfaces. She can walk up playground steps and get herself situated to come down the slide, and can also climb up playground ladders with assistance. Overall she is much safer outside with less falls. All of this said, while observing my 18-month-old niece over the holidays, I realized Callie is still way less stable than what is typical. For instance, as I watched Rosa dance in her dress shoes in our kitchen, I realized Callie would never be able to walk across our tiled floor in dress shoes, let alone dance, without slipping and falling. But this is okay. This is the girl that we were told may never walk. So I tell myself even if she never improves beyond where she is today, I am over the moon that she is on her feet and can move around independently. 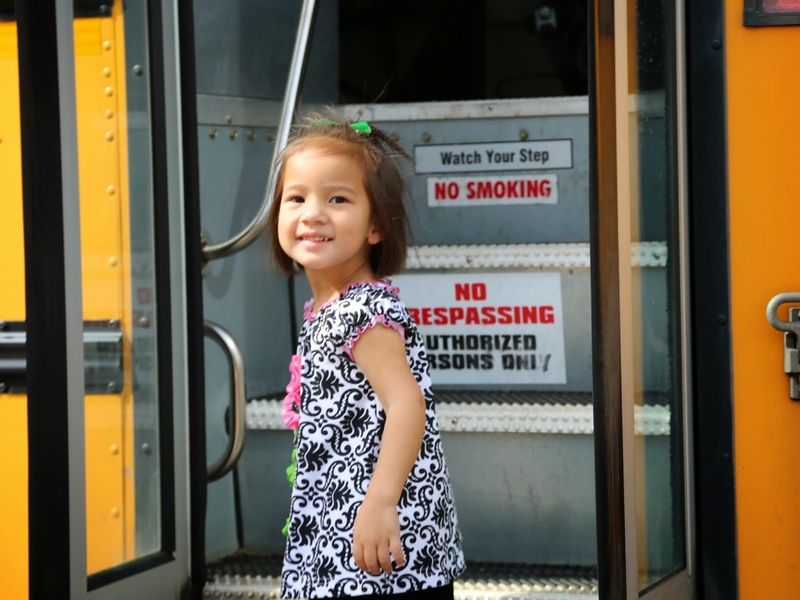 Callie continues to attend two PT sessions per week… one privately and one at school. Check out her progress on her trampoline! Compare this new video to what I posted here in September 2012!!! Fine motor skills: Callie is doing well with fine motor skills. 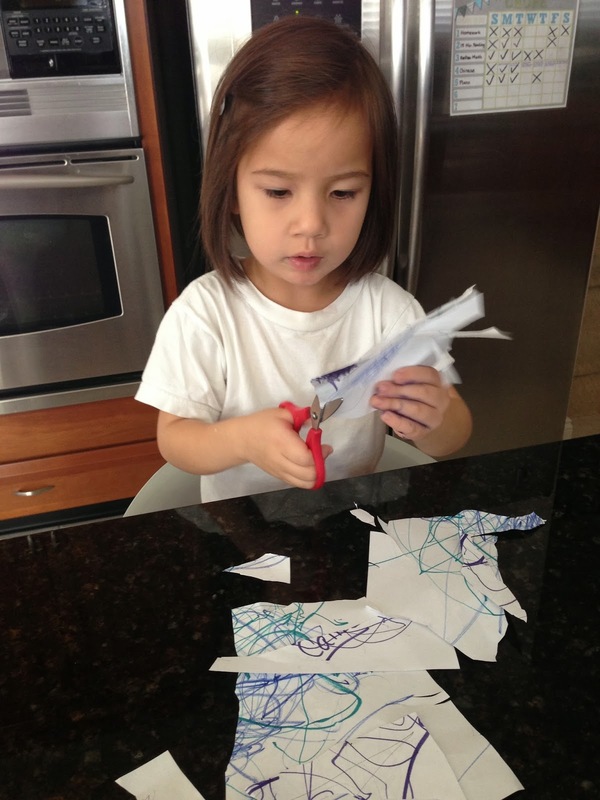 She loves to cut paper with scissors and trace shapes and letters. I’ve lost track of exactly what is typical at this age, but feel she is doing pretty well. Her speech app also requires good fine motor skills for its small icons and she does very well without a key guard. She holds a pencil or crayon properly, although recently has started switching back and forth between her right and left hands. I’m not sure what that is all about and hope she settles with her right side soon. 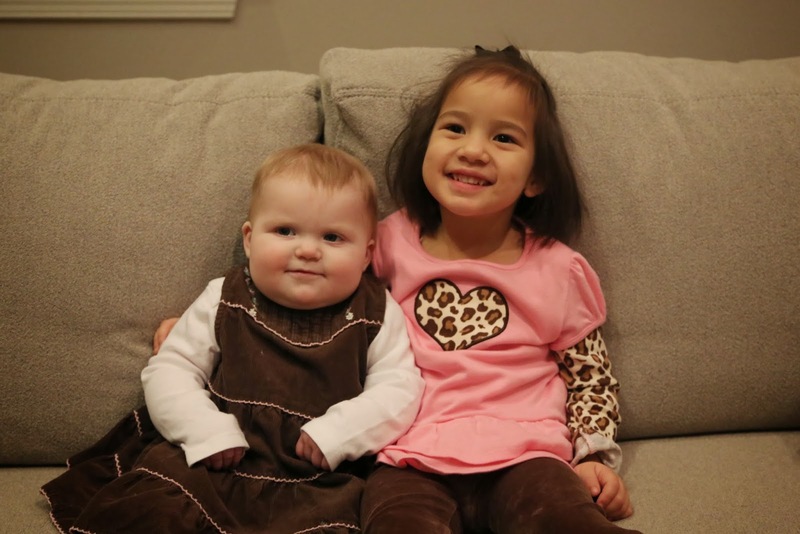 Callie continues to attend two OT sessions per week… one privately and one at school. Speech skills: I’m sad to say after reading my update from last year, not much has changed. We still have almost no words and pretty much the same limited sounds. Her SLPs can get more out of her, but nothing comes spontaneously except “Baba” for Allen and “ba” for bus (every time she spots a school bus). Every once in a blue moon she will say “mama” when I arrive home, but when calling to get my attention she does not say mama. One exciting development within the last month is getting “me” out of her during sessions with one of her therapists. Speech is our main area of focus. We are hitting it as hard as we can right now. 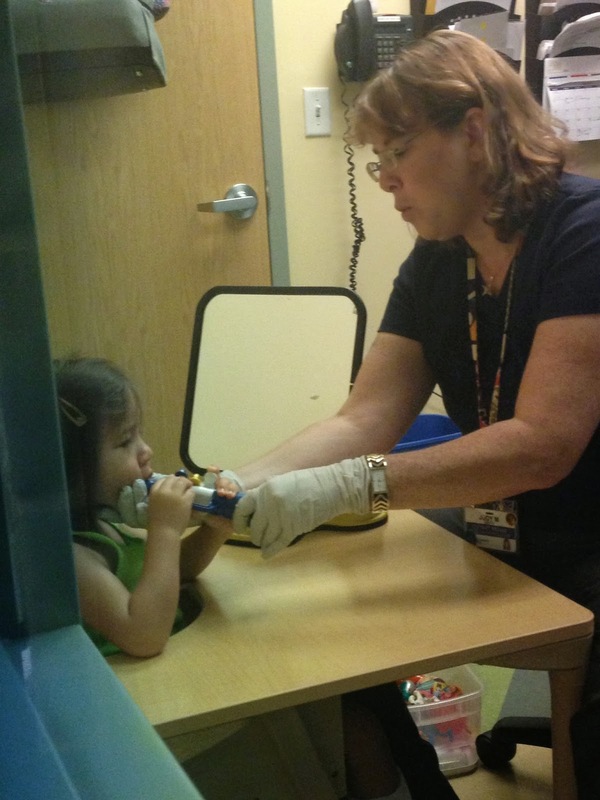 Callie receives five hours of speech therapy a week! Three of the sessions now use PROMPT*. We are holding out hope that this might be our miracle therapy. Everyone feels she has a lot of potential. It helps that her receptive language is on target and she is a motivated little girl. Please continue to pray this intensive therapy is able to work with Callie so that we can finally hear her no doubt beautiful voice and all that she has to say. We are also continuing to pursue using her iPad and Speak for Yourself app, but admittedly it often gets left behind. One goal of the new year is to keep the iPad with her at all times and hopefully see this communication tool used more regularly. We just purchased an iPad Mini in an attempt to make her device smaller and easier to carry and keep with her. Look for more updates on our progress with AAC in the coming months. Social & Cognitive skills: Like last year, this continues to be her strongest area. She loves the other kids at preschool and has a few little friends. Cognitively she seems to be doing very well. She is starting to recognize letters and does great with basic preschool activities involving colors, matching, etc. Parents were invited into her class in November for American Education Week. Here is a little video of I took of her during role call at circle time. The teacher asked if she was at home or school today and she quickly answered with her talker! Like I have mentioned before, I typically do not think too much of Callie’s delays and challenges. I chose to instead focus on what she CAN do. That said, I still have moments when things hit me. It was such a blessing to spend the holidays with my nieces, but I found myself looking in awe at Rosa (18 months) as she maneuvered around the house with ease. She quickly scrambled up and down the stairs. She ran around and was quite the dancer! One afternoon, she was interested in Callie’s trampoline, but had never been on one before and didn’t know what to do with it. Callie proudly climbed on it and demonstrated her jumping skills. Rosa watched her once, and then climbed up herself and immediately started jumping. Moments like these sometimes hit me hard. I watched 7-month-old Anna figure out how to transition from sitting to crawling, and back to sitting within the course of one week. I watched and appreciated all of her milestones that no doubt no one else noticed – the way she reached across midline for a toy, transferred it to her other hand, brought it to her mouth, lost and caught her balance, etc. While watching I felt happy and relieved for my dear sister that Anna and Rosa were so easily meeting all of these milestones, then sad when I realized how hard it was for Callie to accomplish each of these tasks (all with the help of hours and hours of early intervention therapy), even sadder noticing her much younger cousin already passing her up in the areas of speech and gross motor skills, and then happy again thinking about how far Callie has come. I do not take anything for granted and say a prayer of thanks every single day that we are where we are today. Every time I write about Callie’s development we are moving FORWARD. It might be slow, but we are getting there. She seems to eventually accomplish everything in her own time. For that I am so incredibly grateful. Happy Halloween from Princess Callie! This update is long overdue but I wanted to make sure to document this turn of events. In May, we started noticing Callie's right arm twitching periodically. It just seemed like an involuntary muscle spasm, but after it reoccurred several times over a three week period our fear of seizures quickly returned. On two occasions she seemed off balance around this time and overall had more falls than usual. Fortunately, Callie already had her annual checkup scheduled with her neurologist Dr. Pearl at that time, so we were able to see him immediately. But what was supposed to be a light-hearted appointment marveling over her progress over the last year ended up being a serious discussion of whether or not the twitching was a sign of seizure activity, and if so, what type of seizure and how it should be treated. Long story short, we ended up completing an EEG which not surprisingly showed nothing (the 1 minute episodes were happening two, maybe three times per week, so obviously unlikely to catch during a 30 minute test). Our options were to be admitted and hooked up to an EEG until the activity was detected or begin medication without proof. I trust Dr. Pearl completely and in his opinion these were focal/partial seizures (which are common in PMG kids), so we opted to go ahead and start a med. We were given the choice of Keppra, Lamictal, or Trileptal. All have possible unpleasant side effects. We chose Keppra and seemingly made the right choice because the episodes immediately stopped. It was difficult going through this experience in May. I cried on and off the day I admitted to myself we were probably dealing with seizures again. And it was tough going through the neurology appointments. We were there three times in two weeks. 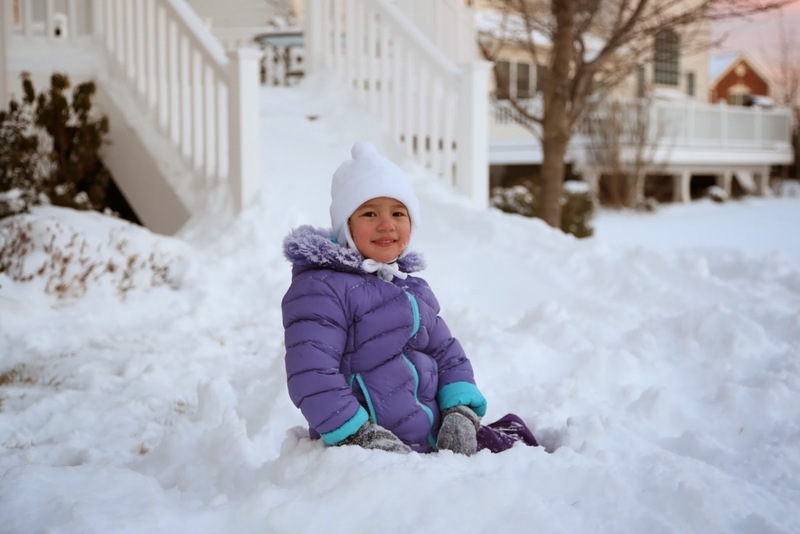 It brought back very painful memories of the beginning of this journey when we were dealing with infantile spasms and her newly diagnosed polymicrogyria. But I am grateful to have a neurologist we trust and extremely thankful to have immediate success again with a seizure medication. Please pray it continues to work, as sometimes these meds begin to fail. If the seizures stay away for two years we can try weaning off medication again. Since this update is late, its been five months so far. We are praying and counting down... 1 year and 7 months to go. 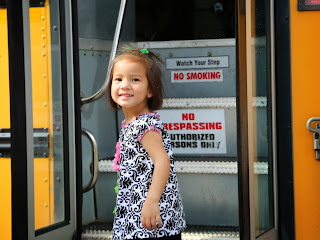 Callie started her second year of special ed preschool at our home elementary school. I really like the fact that she and Owen are in the same location and their classrooms are right down the hall from each other. This year Callie is in an afternoon class five days a week. A big yellow school bus picks her up and drops her off right in front our our home. She loves it! Of course the ride is only about 1 minute long because the school is right down the street from our place. :) She has one new teacher and all of the kids are new to her, but she has had no problems adjusting. The teachers are making a good effort to use her talker in class and she seems to be jumping right back into her school-provided therapies. Also, one of Callie's new classmates has PMG! This is the first time we have ever met another child with the same diagnosis! Their symptoms present differently, but it is still neat to make a connection in person with another PMG family. Overall, I think Callie is going to have a great year!